Consolidating credit card debt is becoming an increasingly common way to deal with financial obligations. The average household carries more than $16,000 in credit card debt. Around 10% of card owners are behind in their payments and incurring late fees. For those who are struggling to pay their bills on time, consolidation can be a viable solution. 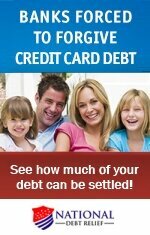 The purpose of consolidating card debt is to help you manage your debt more easily and effectively. Rather than having to pay several credit cards every month, you consolidate all your balances, so you only have to make one payment a month. In many instances, people can consolidate outstanding balances at a lower interest rate, which helps reduce interest costs and saves money. There are basically three ways to consolidate credit card debt, if you choose to handle it yourself. . The simplest and most common way is to get a new credit card with a 0% interest rate and move all your debts over to the new card. This is only possible if your credit rating is good enough to enable you to qualify a zero-interest card, and if the limit of the card is high enough to include all your other debts. Many zero-interest credit cards are only that way temporarily and eventually go up to standard interest rates. If that's the case, you need to make sure you’ll be able to repay the debt while the rate stays at zero. If this is not an option, you can try getting a low-interest loan from your bank. You use this loan to pay off all the credit cards at once. Then, you move forward making a single payment to the bank every month until you repay your loan. 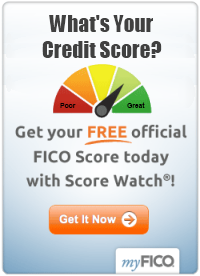 Again, you will need good credit for this, or you’ll end up with a loan that has a high interest rate. The third option is to apply for a home equity loan, which is a secured loan that uses your home as collateral. This is a good option if your credit card debt is very large. Like in the case of personal loans, you use the money to pay off your credit cards and then you’re left with just a single loan debt. In addition to the above choices, which involve consolidating your debt on your own, you may opt to hire a professional debt consolidation company to manage your monthly payments. To learn more about consolidating credit card debt, please see the articles listed below.